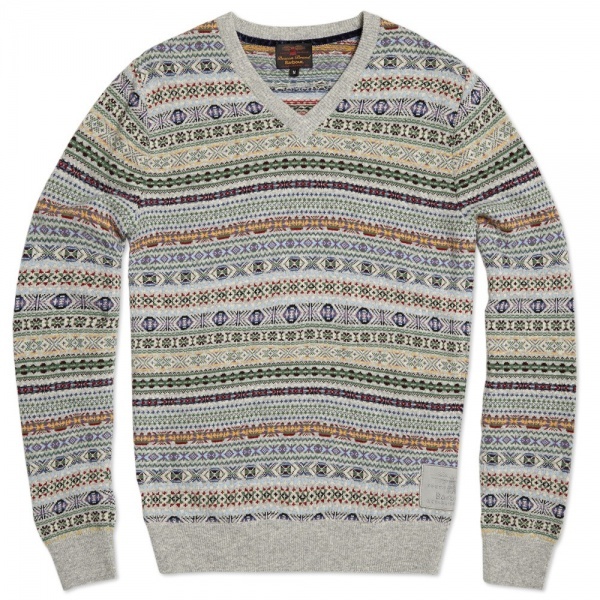 Barbour Dalehead V-Neck Sweater | Definitive Touch - Men's Contemporary Style. 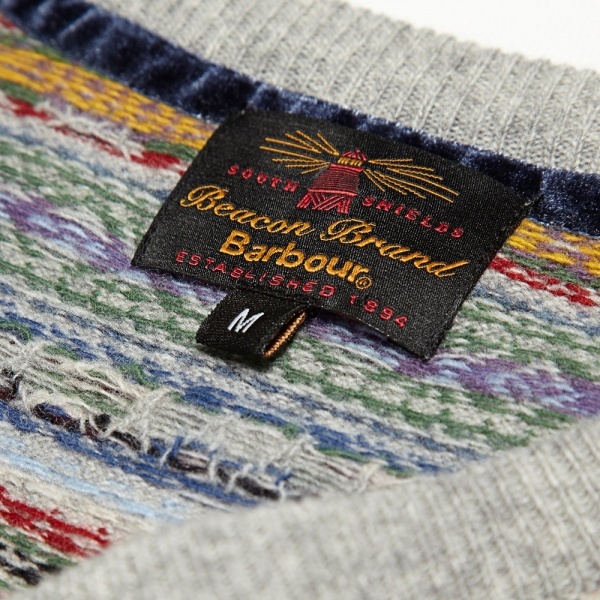 The Dalehead V Neck Sweater is a great example of Barbour’s country-inspired knitwear. 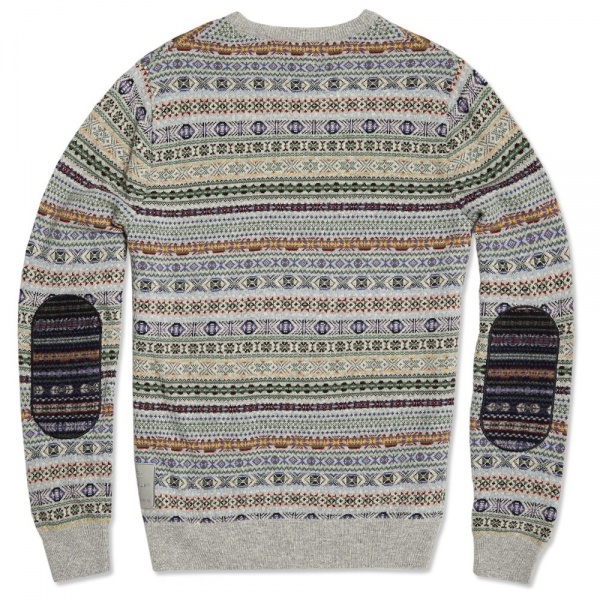 Featuring a bold fairisle pattern and contrasting knitted patches reinforcing the elbows, this lambswool knit is finished with a tonal embroidered logo patch sitting above the hem.